This workshop will explore how positive, productive workplace cultures can be a driving force in building and strengthening donor relationships. What are the values we strive to reflect in our work teams? Gratitude, respect, accountability, kindness, trust, discipline, creativity? How can these values – demonstrated through our daily actions – bring energy to ourselves, our colleagues, and our donor relations? Participants will develop 3-5 action steps to help evolve their workplaces into powerful tools for fundraising success. 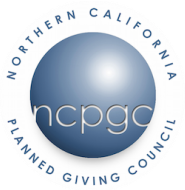 Launching a Planned Giving Program is Easier Than You Think! If you are new to gift planning, management has asked you to learn about blended gifts or are simply curious about what all those acronyms mean, you’ve come to the right session. During this session, we will discuss what is gift planning (or is it planned giving? ); learn about the various vehicles often used by gift planning professionals (CGAs, CRTs, CLTs – oh my! ); and use the clues your donor reveals so you can recommend some options. There will be plenty of time for questions and, if time allows, a brief case study or two. Looking forward to seeing you! Discover all the things we wish we’d known when we started our planned giving roles. A panel of newly minted planned giving professionals will share techniques and tips learned on the job. This workshop will provide you with resources to put you on the fast track to success, including: how to right-size a program for your organization, how to mine your donor database for prospects, when to engage with professional advisors, and how to incorporate planned giving into an overall fundraising program. You will leave the presentation with a list of resources and more confidence to navigate your new role. How does a successful relationship develop between a development leader and a philanthropist who has never donated to the organization? How does that relationship lead to a significant philanthropic gift? Kristina Schaefer was SVP of Development at Simmons College and Emily Scott was a wealthy alumna who had not donated to Simmons in any significant way. Through an interesting cultivation process, Kristina was able to engage Emily completely and she became a Trustee, the Vice Chair of one of the largest capital campaigns in Simmons history, a mentor/teacher/employer of students, and one of the top 5 donors of Simmons. Join us for a discussion of what it was like from both perspectives, what both women learned, and the best practices that both still use today, more than 10 years later. We’ll take a sector-specific look at how mistaken beliefs regarding age, net worth, and the impact of planned giving on annual support may be causing your organization significant gift opportunity. We’ll also provide some practical examples on how any organization can change their planned giving program from “luck to logic” by implementing some tried and true creative best practices. Applying these tips to print and digital marketing communications materials increases chances of resonating with donors of any age or capacity to give. Working with professional advisors can sometimes seem difficult. Both Ms. Bandelloni and Ms. Buckley have experience working on both sides of the fence. Each has spent time working at nonprofit organizations as well as financial institutions. Walking in the shoes of both a professional advisor and a fundraiser presents a clearer perspective and understanding of each role. In this session you will hear five things that should help you as a fundraiser to have smoother working relationships with professional advisors and create more win-win opportunities for the fundraiser, the professional advisor, and most importantly, the donor. Donor advised funds are exploding nationwide. As more and more donors choose to use donor advised funds for their charitable giving, how does this trend impact fundraising campaigns, metrics for fundraisers and the relationships donors have with your organization? This session will include a review of current DAF "rules of the road" with an emphasis on case studies that provide attendees with the opportunity consider different gift scenarios, how to talk early with your donor about how the gift may be made, how to plan for gifts through donor advised funds in a campaign and succession planning opportunities these creative vehicles provide for individuals and families. maximize the value of your donors’ planned gifts? Incorporating case studies, sample documents and war stories, this session will address best practices in proactive administration of estates; rights and responsibilities of charitable beneficiaries; how to protect the charity’s interests; collecting retirement plan and insurance assets; terminating life income gifts and retained life estates; fulfilling donor intent, and stewardship of families and advisors. Closing a major gift is exciting, but making the gift is only the first step in securing the donor’s charitable deduction. The tax rules for substantiating charitable income tax deductions are persnickety, and small foot faults can provide the IRS with a basis to deny large deductions. This program will cover the substantiation rules for charitable contribution deductions, including qualified appraisal requirements, charity acknowledgements, donor reliance on the charity’s receipts, and other documentation a donor needs to deduct a charitable gift. In the vein of there being only three things you can do with money (gather, hold, spend), we will talk through the need for policies on each of those processes. We will keep an overarching theme of making sure your policies all work together to bolster the success of your mission. We will offer practical ideas to review existing policies and understand how staff and board can collaborate in the development of these policies. There will be an opportunity to share experiences during Q&A. This session will explore a not-entirely random series of steps and ideas which you can use to minimize the chances of getting “burned” in a gift acceptance situation. More than just “do your due diligence”, we will discuss using intermediary entities to accept difficult assets, disclaiming gifts/bequests you don’t want, the risks of returning gifts you already received, and other ideas. By the end of this workshop, participants will be familiar with the basic principles relating to the assignment of income doctrine and how they arise in the context of charitable gift planning. Structuring investments in a charitable remainder trust requires a knowledge of several tax and legal rules, such as UBTI and private foundation rules, in addition to principles of investing. This workshop will explore the considerations involved in structuring investments in a charitable remainder trust, and examines several case studies which present some of the most challenging issues. The secrets to engaging the largest and wealthiest group of potential donors is complex and nuanced. The transfer of wealth from the silent and baby boomer generations to the millennials and onto the next generations is tagged at about $30T but such transfer is fraught with intricate social, economic and family dynamics issues as well as business and wealth succession plans that are, at best, fragmented. Surveys indicate that philanthropic conversation between advisors and their clients are on the rise. Shouldn't the non-profit organizations also be ready to have that follow-up conversations with potential donors? This panel will attempt to decipher the behavioral motivations towards philanthropy of these senior generations through the lens of various sciences -- biology, anthropology, sociology and psychology and provide a meaningful compendium of practical advice, we call the "The 10 Commandments on Engaging the Senior Donor." We will discuss the growing financial power of women in the U.S. and why we might be seeing more women donors than ever before. We will then share academic and industry research on the behaviors and motivations of women donors. Using what we have learned, we will discuss whether we can do anything differently to better engage this demographic in our work as planned gift fundraisers.